Oh man, where to start with this one? 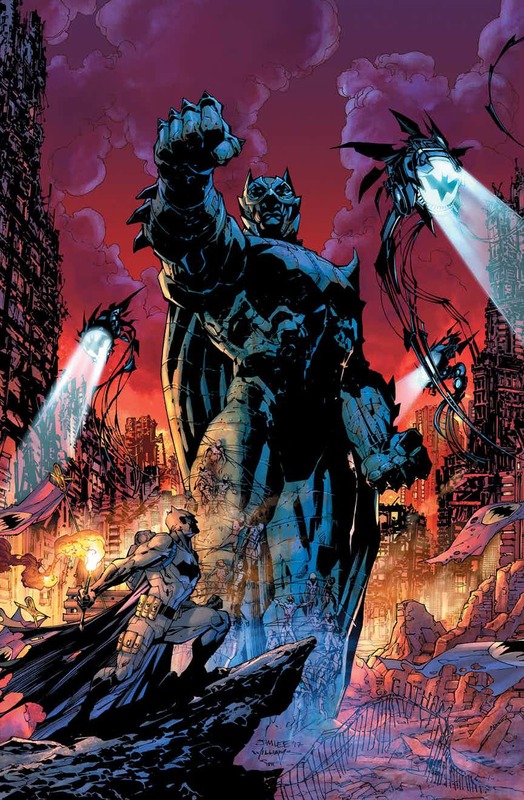 Scott Snyder has been teasing this event (or prelude to an event) for a little while and we're finally getting our first taste as to what to expect in the DC Dark Multiverse. For those of you out of the loop, the DC Dark Multiverse is the idea that beyond the normal understanding of a multiverse, there is also a darker, almost mirror-imaged version of the multiverse. And the links to that universe are in the metals. Here, Scott Snyder does a great job of linking this story all the way back to his New 52 run on Batman and his first arc, "The Court of Owls". We also see links to "Endgame" here as well. And these moments don't feel forced. This feels like the next logical progression for where his version of Batman needs to go. And one of the great things here is that this isn't just a Batman story. In just this first issue alone we have Bats, Green Lantern (Hal Jordan), Duke Thomas, Hawkman, Superman, Aquaman, Mister Miracle, Mister Terrific, and (at least a tease) Plastic Man. You would think that a lineup of that many characters, some of whom we haven't seen much of in the Rebirth-era, would be a lot. Add in three different artists on normal length book and it sounds downright claustrophobic. But that's one of the best things about the issue is that everything seems so balanced. The use of the artists has a great flow and coordinates well with the books' use of characters. But then again, when you have the biggest names in comics working on a book together, that's what you would expect. Do yourself a favor and GO GET THIS BOOK! I believe the fallout from this story will be impacting the DCU for decades to come.